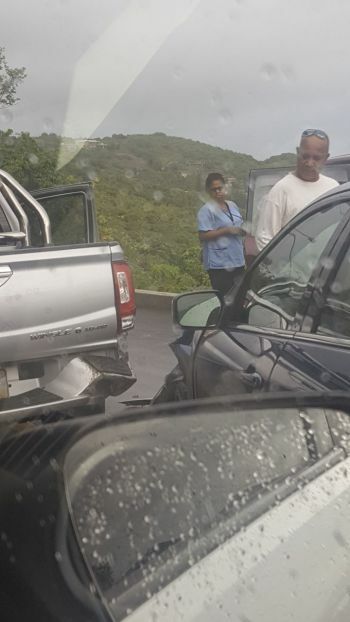 HOPE HILL, Tortola, VI- With inclement weather already making it an overcast morning, the day probably got gloomier for persons involved in an accident on Hope Hill, on the main island of Tortola, today, August 17, 2017. 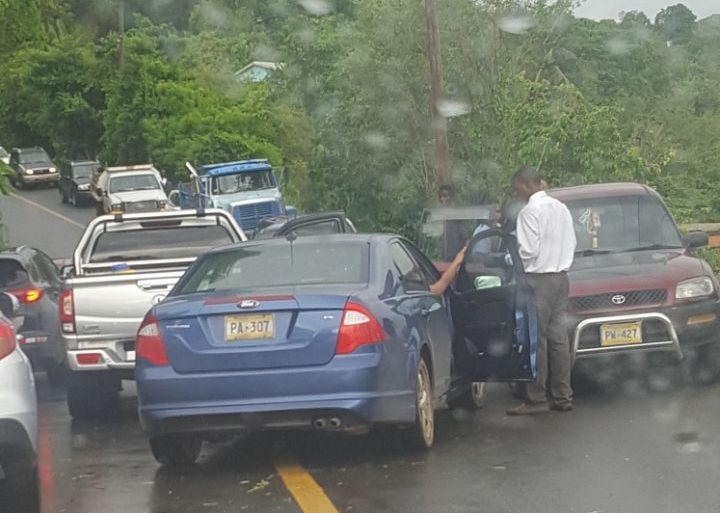 Details surrounding the mishap that occurred before 08:00 A.M. are sketchy at this time; however, we can confirm that at least three vehicles were involved. 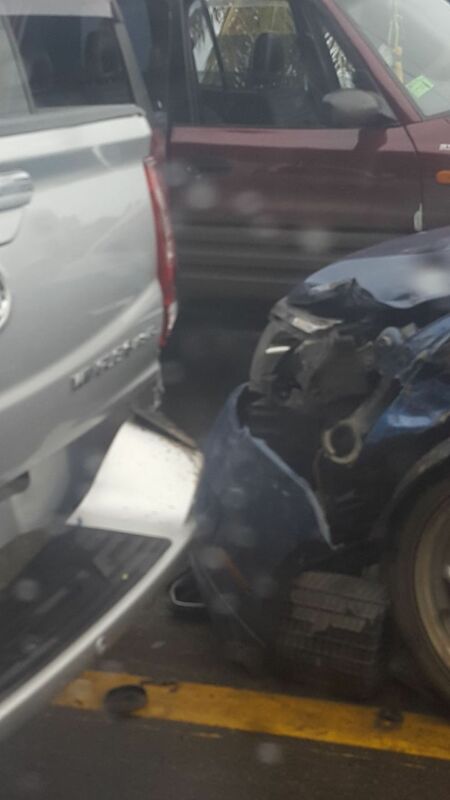 One car ended up slamming into the rear of a pickup truck. There have been no reports of injuries at this time; however, traffic along that road has been impeded. So what does that have to do with THIS collision? Why don't you wait to see what is done before complaining about it? You think these people aint know better. They see the road wet and they still speeding to reach to work. When they are done late, come on slow down. Who say dem was speeding? People on here does comment and aint know the full story. Well sah! Roads are wet, more rain is coming, more people driving. Pay attention to the road, leave with more time in hand, leave more space between vehicles and drive defensively. All these wrecks end up raising everybody's insurance premiums. They don't just affect the people involved.